This Class I symbol stone was found built into a field wall in the 19th century. 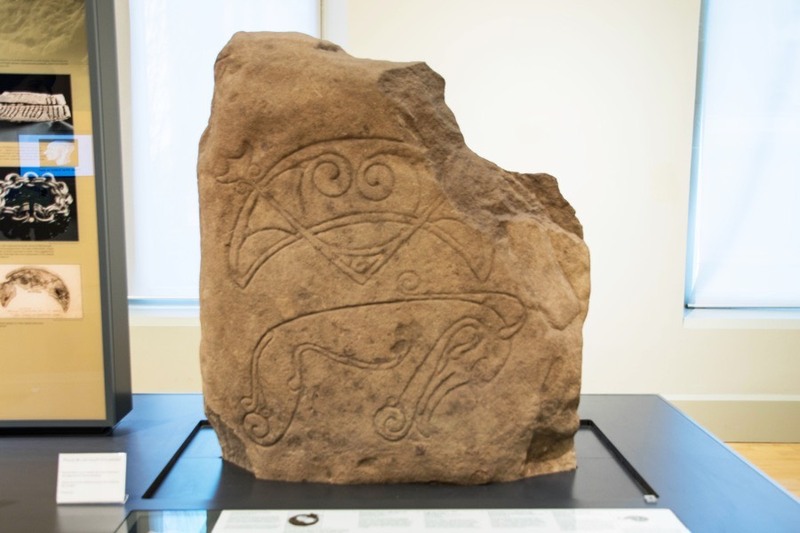 It features a crescent and V-rod above a Pictish beast and is now housed in the McManus Galleries in Dundee. Strathmartine 1 is in the parish of Mains and Strathmartine and the county of Angus. Published on the 18th of March 2018 at 6:07 pm. Updated on the 12th of April 2019 at 11:41 am.